When we create service with REST interface we need to publish protocol description. Which method will be used, which parameters will be used. If we do not want to share this responsibility from programmers to technical writers, we need to use simple tool for this problem. One of the best thing that you can do is describe your API in fixed typed format of API documentation. Most common format of documentation is Swagger. Write your documentation in yaml/json format and export to nice looking ui. Example project Petstore demonstrate this concept: [ui] [json]. Service description - project title, base url, api version. Endpoints - declare method, parameters and expected responses. Lets look at endpoint declaration. Take attention to tags: each group of endpoint is marked with same tag. Another interesting thing is schema $ref: we can link to object definition. If we do not want to write swagger definition and source code separately we need to use support tool. 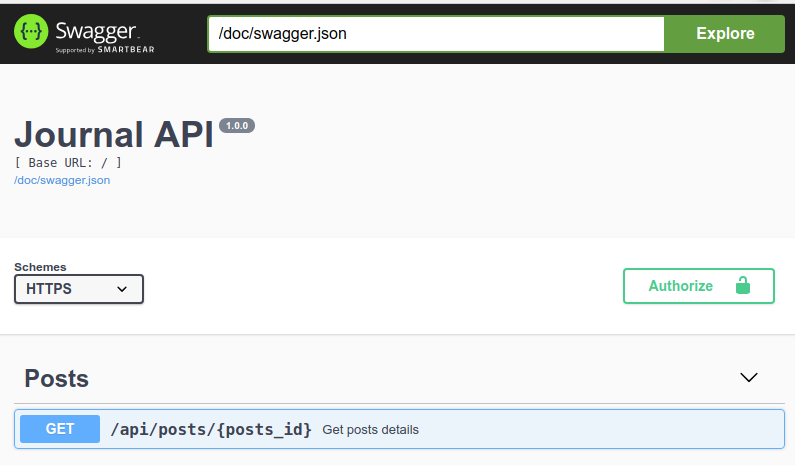 TornadoSwagger allow you to write swagger in docstring and serve swagger-ui in special endpoint. API must be described and published in common format. It can improve cross team developing speed and simplify service integration into your large system. Most common tool is Swagger. Tornado-Swagger allow you to integrate swagger-ui and swagger-format into your project.